English essay on Science In Everyday Life for high school and college students. Read the essay about science in everyday life. The twentieth century is the age of modern science which has discovered different type of wonders and has brought very far reaching changes in everyday life . Gone are the days and automation is the order of the day due to the advent of science . Science has transformed our daily life. From the use of household goods to the use of internet, from the obsolete bullock cart life to the comfort of superfast aeroplane, from the burning of candle for lighting to the availability of 24 hours electricity and from the use of ayurvedic medicine to the availability of telemedicine , all are the needs of human beings in the everyday life of science . It has enlarged human comforts . Some people says truly science has given eyes to blind, ears to deaf, and limbs to the cripple . Science is the greatest blessing to the poor housewife. A thousand devices have been placed at her disposal to lighten her toil. Cooking is done in the twinkling of an eye. Electricity serves the housewife to wash and press her clothes and to sweep her floors. No one could be more grateful than the housewife to the science for its blessing. It has given her leisure to take rest, to study and to attend better to her children. Another job that this servant does for us is to educate us and expel ignorance from mankind. News is brought to us from every corner of the world through the newspaper, the radio and the television and through the internet . The result is that superstition and ignorance find it difficult now to thrive. No longer can clever people deceive the simple and ordinary people of the world. Today, one cannot think of life without comfort which science has given us . Science has developed, invented and discovered different mediums of swift communication that are very useful for us in our everyday life. Time and distance have been conquered and traveling has become a pleasure. Trains and Railways are now used for travel and transport. Man can fly like birds nowadays. Traveling around the world in small amount of time is not a big deal nowadays. Everything that the modern man uses from morning till night has been manufactured by one machine or the other. Machine lifts weight from us, plough our fields, cook our food and also serve it for us. Computers have made each and everything easy like calculations and other stuff beyond our imagination. Electricity is the greatest invention of man. It serves us in hundreds and thousands of ways. It runs our trains, mills and factories. It cools and keeps our houses warm. It washes and irons our clothes. It gives us cool air and entertains us through Cinema, TV and radio, besides lighting our houses. Modern life is impossible without electricity. The greatest blessings of science are its inventions in the field of medicine and surgery. Heart surgery and heart transplantation, kidney transplantation have become ordinary things nowadays. Science has discovered and controlled incurable different types of life taking dangerous diseases. Science has created wonders in the field of communication. Telephone, telex, fax, internet, networking, cell phones, laptops, gps systems, E-mail, VSATs, wireless, telegrams are great wonders. They have brought the world closer to us. We can send news from one corner of the world to other within a single moment. 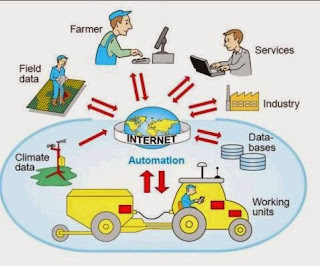 Internet provide the educated people a great opportunities for business and employment. Mobile phone has reduced the time and distance for communication so that within a short span of time many problems are solved without travelling . Science has metamorphosed the mode of our daily life in countless ways. A person sitting in India on telephone can talk to his relative sitting in America or any other part of the world. Communication satellites moving in their orbits above the earth’s atmosphere can forecast weather reports, cyclones, tidal changes in the sea etc. much in advance. We have developed instruments to help us in agriculture, irrigation, generating electricity, building dams, curing many fatal diseases. Science gives us safe food, free from harmful bacteria, in clean containers or hygienic tins. It also teaches us to eat properly, indicating a balanced diet that is most important for human body and very useful. Home, school and office all bear witness to the progress and application of science. The latest invention of science is that now we have projectors for different type of views. Its utilities in everyday life are unlimited. But the inventions of science are being distorted in many different ways. Instead of using the aero-planes for travel, we use them to drop bombs. In this way, this blessing has turned into a curse, and it is feared that one day science will destroy humanity. Science should be a compulsory subject of study so that man may understand its true nature, and put it to right use. If we want our country to progress, then more scientists are urgently needed. Therefore, science should be taught everywhere in the whole world. Science has been completely beneficial to ordinary living when properly applied. When misused, it is equally harmful. Land can be poisoned by chemicals, workers can suffer industrial disease, war can mobilize science to man’s own destruction. Science is a good servant, but man must remain master. To conclude we can say that science is the magical genie of today. It can do wonders for us if it is used carefully.